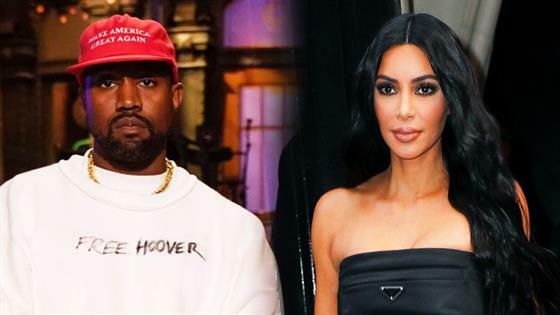 As celebrities continue to criticize Kanye West's politics, the rapper can rest assured that he will always have one major supporter in his corner, Kim Kardashian. Over the weekend, the 41-year-old star appeared on Saturday Night Live, where he performed three times throughout the show. During his first performance, Kanye dressed up in a Perrier bottle outfit while performing "I Love It" alongside rapper Lil Pump, who was dressed up in a Fiji water bottle outfit. During his final performance of the show alongside 070 Shake, Kid Cudi and Ty Dolla $ign, Kanye sang "Ghost Town" wearing a pro-President Donald Trump "Make America Great Again" baseball cap. 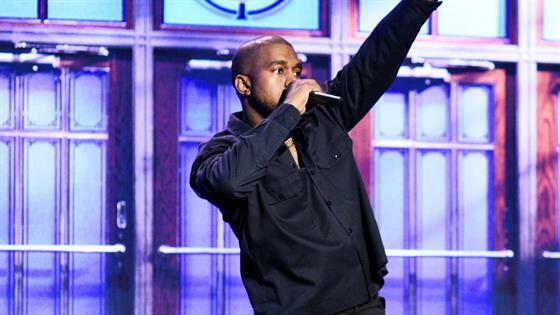 As the performance was coming to an end, Kanye started to give a politically-charged speech, part of which was cut short from the broadcast. However, Chris Rock, who was at the SNL taping, posted video of Kanye's speech on Instagram, during which members of the audience could be heard booing him, while some could be heard applauding. On Sunday, Kanye posted a photo of himself wearing the "Make America Great Again" hat, writing to his social media followers, "this represents good and America becoming whole again. We will no longer outsource to other countries. We build factories here in America and create jobs. We will provide jobs for all who are free from prisons as we abolish the 13th amendment. Message sent with love." In response to Kanye's tweet, actor Chris Evans replied, "There's nothing more maddening than debating someone who doesn't know history, doesn't read books, and frames their myopia as virtue. The level of unapologetic conjecture I've encountered lately isn't just frustrating, it's retrogressive, unprecedented and absolutely terrifying." So what does Kim think of her husband's recent political comments? "They definitely have their issues, but Kim always defends Kanye publicly and tries to be supportive," a source tells E! News. "She believes Kanye is entitled to his opinion and can express it freely. She may not always agree with him, but she still feels he's allowed to believe what he wants." "This is who he is and she knew that when she married him," the insider continues. "He's always been controversial and can ruffle feathers. Kim's not surprised in the least bit. Kanye loves to speak his mind and that's not going to change. Whether or not Kim shares the same beliefs, she knows she's never going to stop Kanye from expressing himself." Kim has previously defended Kanye controversial comments before, tweeting back in April, "He's a free thinker, is that not allowed in America? Because some of his ideas differ from yours you have to throw in the mental health card? That's just not fair. He's actually out of the sunken place when he's being himself which is very expressive."